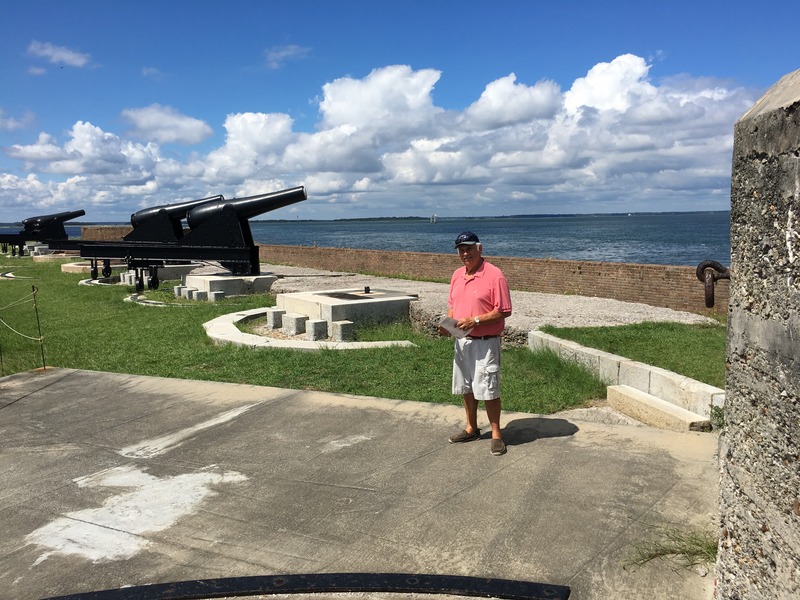 Amelia Island and Fernandina Beach – Let's Go RVing! Although we had planned to get an early start because we didn’t get in until midnight the night before we were dragging today. Jerry asked me what our plans where – breakdown, drive 200 miles to St. Marys, Georgia, set up and take a nap and that’s what we did – at least that’s what he did. I just read and had a lazy afternoon. We had an easy dinner of spaghetti. With no television it was a quiet night. The campground doesn’t have cable, only local programming using an antenna but we were never able to get anything so it was a night of reading. Since my “new” iPad died on the way to Orlando I couldn’t even watch TV on that! 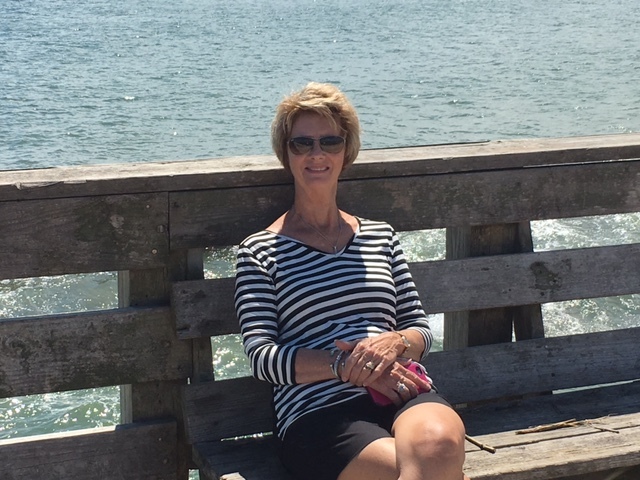 Tuesday we headed to Amelia Island and Fernandina Beach. After turning off Highway 95 it’s about 10-12 miles until you reach the bridge and as Jerry said it’s almost 10 miles of strip malls! Our first stop was the Visitor’s Center where we got some printed information and some ideas of where to go. There was a trolley but it was just leaving and the next one wouldn’t be until 2:30 so that gave us time to walk around and look at the historic buildings and lots of shops! Although I had brought crackers and bars Jerry wanted to go get lunch so we began our hunt for a restaurant. All of the restaurants are listed in the tourist book with their address, menu type, hours of operation and cost represented by a number of $. Jerry wanted a one $ and it seemed that there were a lot of $$$ or more. We finally decided on Jack and Dianne’s. On of the items on the menu was a crepe and I haven’t had one of those in a long time. With my mouth set for that we took off to the restaurant only to discover that it is only open on Mondays, Wednesdays and Fridays. Discouraged we walked back to the car and went in search of a burger. The place we found was a renovated gas station and we decided against that. It may have the best burgers in town but I well remember my last experience with a renovated gas station and a $5 haircut! We went back to Centre Street, parked the car and began to walk. By this time Jerry wasn’t feeling well at all. We saw a restaurant, Marinier’s that offered a seafood buffet for two so we went in. The dinner was very good but a lot heavier than what I had wanted for lunch. By this time Jerry suggested that we just go back to the RV which we did and he slept the rest of the afternoon. He has been a real trooper on this trip but I know it’s been hard on him. Four days at Disney, driving and parking an RV take a toll of broken ribs! Since we ate lunch so late we didn’t really have dinner. I had some humus and bagel chips and Jerry had a sandwich and then went right back to sleep. Another quiet night! After a good night’s rest we headed out to Amelia Island again. Since it was a cooler morning we decided to Fort Clinche first. The entry to the state park is as pretty as the lane is covered with a canopy of trees. It would be a great place to ride bikes and we saw several people doing just that. There are two campgrounds at the park but they don’t offer full hookup and I knew we’d need that for our last stop so we elected not to stay there but it would have been fun. The fort itself has a nice museum with a lot of relics plus a video talking about each section of the fort. After visiting the museum we entered the fort and explored the various rooms. There is a uniformed “soldier” on site that can answer questions and Jerry asked how many were at the fort at any one time. He said anywhere from 150-200 but never a consistent number. It is always awesome to me to realize that I am walking on worn bricks that were laid 200 years ago and where people who fought for our country have trod. After our tour of the fort we went to the fishing bridge which is a half mile out over the water. There is a breakwater on one side of the pier and the water was fairly calm on that side but on the other side it was typical ocean. We watched a military helicopter doing maneuvers over a buoy, at least that’s what we think he was doing. It did not appear to be a search and rescue and someone told us that the military often did practice maneuvers there. As we were leaving we realized we had had our one mile stroll for the day so we headed out for lunch. I wanted to try Jack and Dianne’s again so we did. I had a Provencal crepe with fruit and a biscuit and it was delicious. Wish I could take some back to North Carolina. Jerry had a very interesting sandwich, two kinds of sausage wrapped in bacon on rye bread. He said it was quite good though small. Afterward we walked around the historical Centre Street. Trent had asked me to get a t-shirt for Amelia and Jerry had added that if I got one for Amelia I also needed to get one for Eva and Britt so I texted Caroline for their sizes and went in and out of stores to find what I thought they’d like. I ended up going back to the first store I went in just as I often do. The guide at the Visitor’s Center had suggested the fudge shop for good ice cream so we went in and got cones and then sat outside at their tables and enjoyed them. I remarked that he was just a quiet, peaceful day and Jerry said he was thinking the same thing. The hot weather had broken so it was not so intolerably hot. Jerry had wanted to go to the museum but he changed his mind and suggested we return to the campground. He wanted to put the car on the dolly so leaving tomorrow would be easier and quicker. On the way back we stopped at a Publix and he got him some soup for dinner and I again had humus and bagel chips. As we were approaching the campground we passed the ruins of Tabby Sugar Works so we stopped and wandered around at bit. Parts of the walls were reminiscent of the walls of some of the buildings at Jekyll Island as they appeared to be built with oyster shells. There is so much more of Amelia Island to see and hopefully we will get back one day. Fernandina Beach is a lovely area and although one would think it’s a tourist trap I didn’t see that at all. Some of the shops had some rather expensive items in them but others were quite reasonable. Also, I didn’t see the typical tourist junk that sometimes overtakes a location. 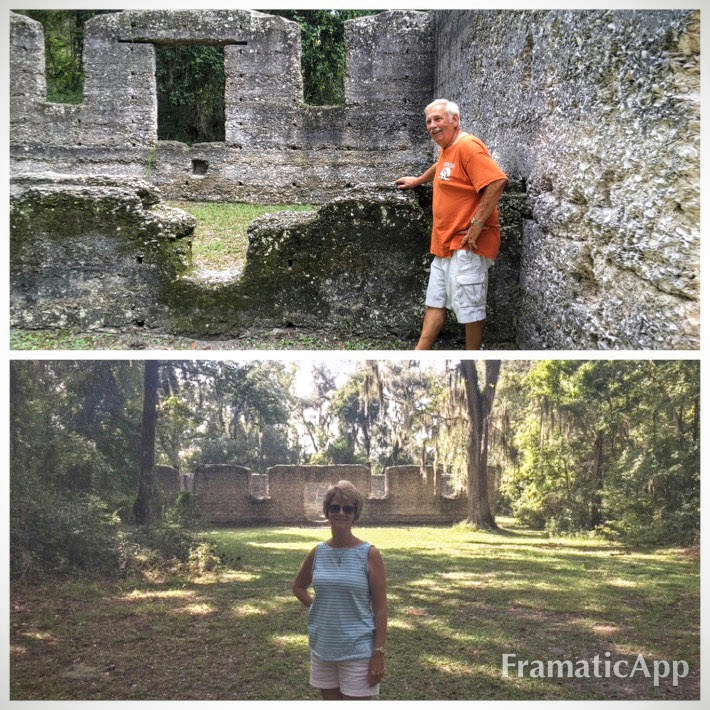 Unfortunately I forgot to get my usual magnet for Amelia Island although I did get a small one at Fort Clinche. I think we’ve seen all of Florida and Georgia we need to see for a while. There’s just so much more of our country to see. Although we are scheduled to return to Bradenton, Florida in October I’m pretty sure we’ll cancel that trip. We need to just be home for a while! Next postGo Away Hurricane Matthew!